If you are a student doing your college project, You might have collected lot of information like images, files of different formats like .doc,.pdf,etc., but having all files in one folder can be confusing and separating each by file type can be time consuming. 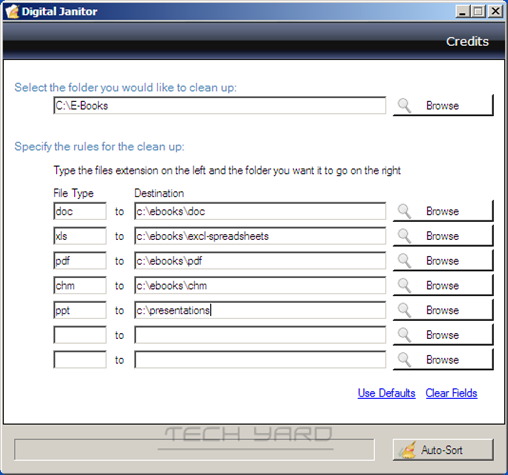 You can reorganize all files by file type into different folders using Digital Janitor, which can sort your files and folders into different folders based on file type. 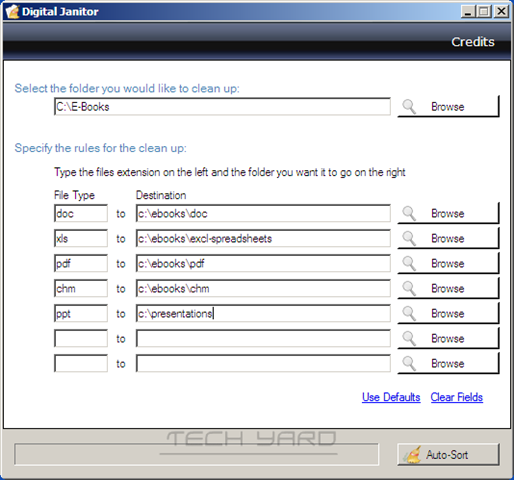 Fireup Digital Janitor, and select your primary folder that has all the different files, and next give the file type and the destination folder for that file type.You can give up to 7 file types at once. 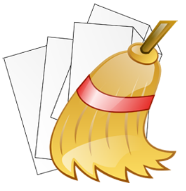 This tool is compatible with Windows OS and requires .Net Framework installed.